Talk. Tap. Share. That’s the motto behind a new project on Kickstarter called Kapture, an always-on wristband that allows users to save and share the last 60 seconds of audio it records. With a simple tap, the past minute is captured and synched to your smartphone via Bluetooth. Kapture isn’t intended to be the next James Bond spy gadget but rather a handy piece of wearable technology that lets you capture life’s little moments as they happen. Examples include storing funny, insightful or heartwarming phrases but the possibilities here are limitless. Once a clip is captured, it’s sent to the Kapture app on your smartphone. From here, it can be edited down, renamed and even have a photo attached to it much like you can do with video for Instagram. Should you not have your smartphone handy when a recording is captured, it will be stored on the wristband for synching later. We’re told that roughly 25 records can be stored locally. Legally speaking, Kapture presents a unique situation as 12 states have what’s known as a two-party consent law. This means that one person in a conversation must notify others in a conversation that a recording is taking place. But since Kapture doesn’t actually record audio until the users taps it, a recording doesn’t technically exist and no laws are broken. Kapture launched on Kickstarter earlier today with a goal of raising $150,000 over the next month. It’s off to a solid start with more than $8,000 in pledges from more than 80 backers as of writing. 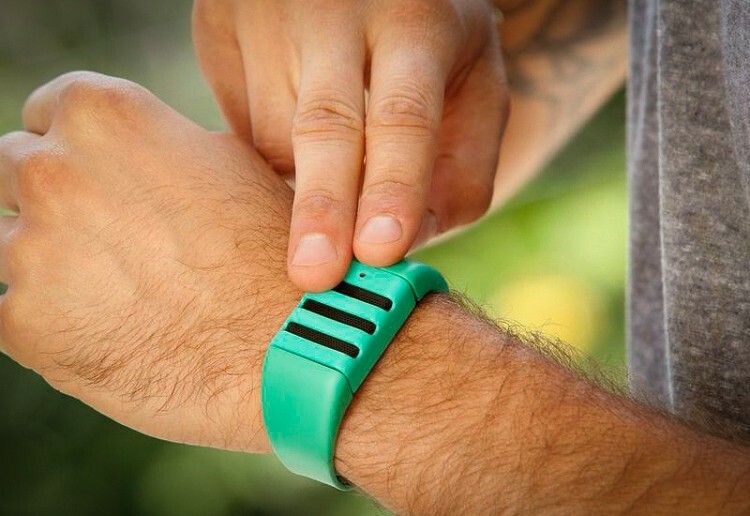 An investment of $75 is all that’s needed to be one of the first to receive the wristband. The project has an estimated delivery date of March 2014.